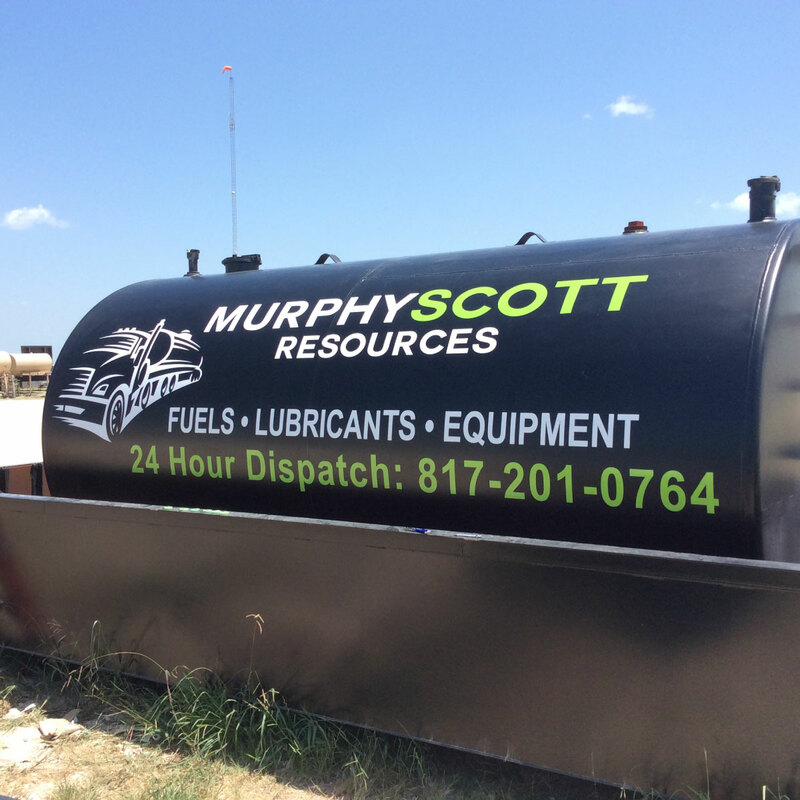 The HDU signs we provide have a Polymer Finish that is second to none. 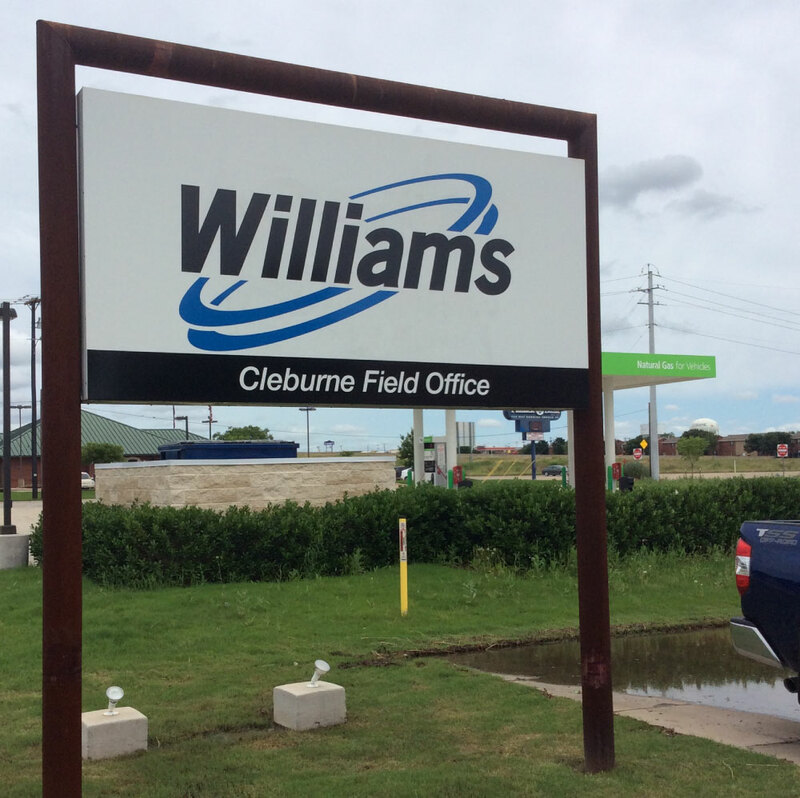 These foam core monument signs are exceptionally resistant to heavy impact, insects and harsh weather elements. You can choose from 56 standard models, or we can create a custom design for you. View our Foam Monuments page to learn more, or contact us at 817-447-4450. We’ll be happy to answer any questions you may have. Cool Dog Graphics is a local distributor for Watchfire LED message boards. 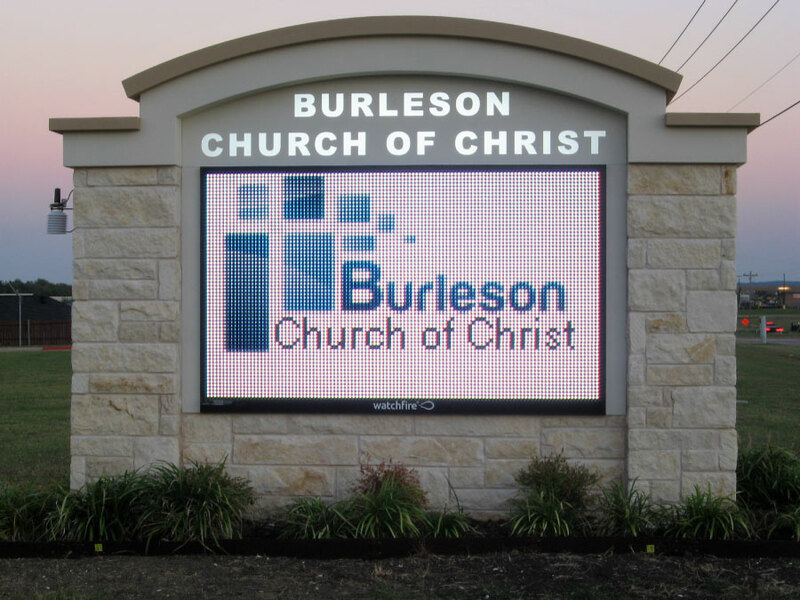 These high quality digital signs are made in the USA and are considered one of the best in the Industry. The message boards are controlled by your laptop or desktop with a wired or wireless connection, and parts and service are readily available. 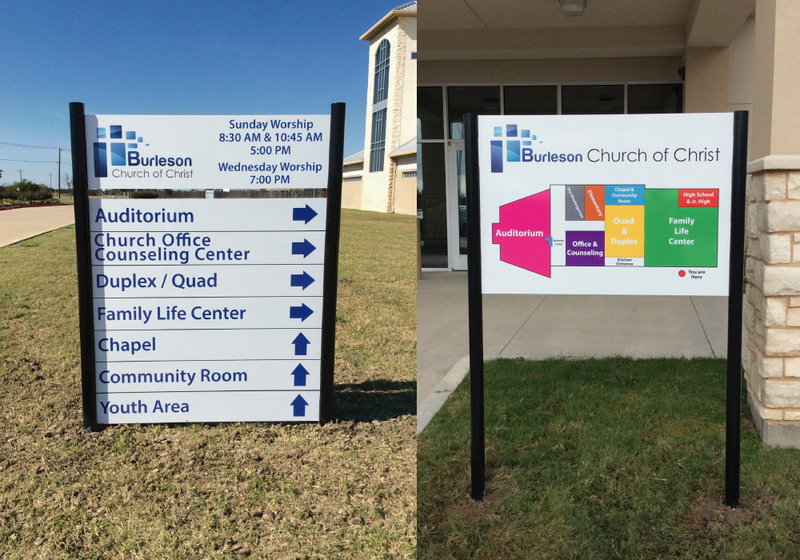 Directional signs can be manufactured with wood, aluminum or PVC. The panels can be attached to the building or cemented in-ground. We also provide interior directional signs utilizing many types of materials, as well as ADA approved signs. 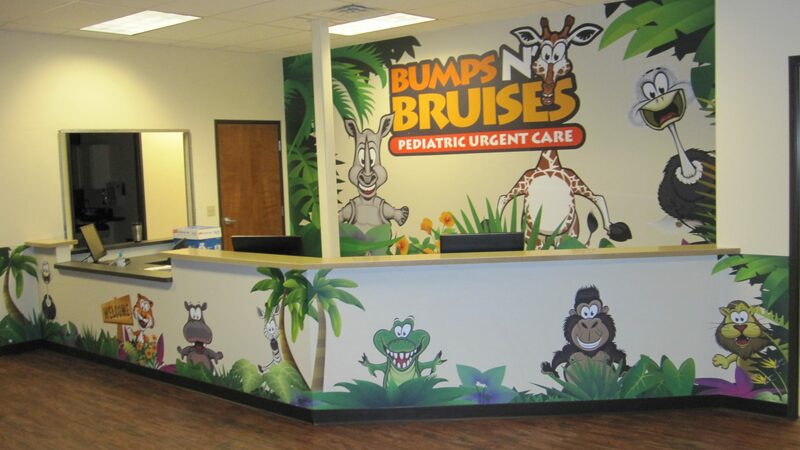 We create, print and laminate full-color wall graphics for all types of commercial and residential areas. The graphics are printed on different types of vinyl to enable adherance to most wall textures. Matte and gloss finishes are available. We also cut and install vinyl lettering for walls, windows and doors. 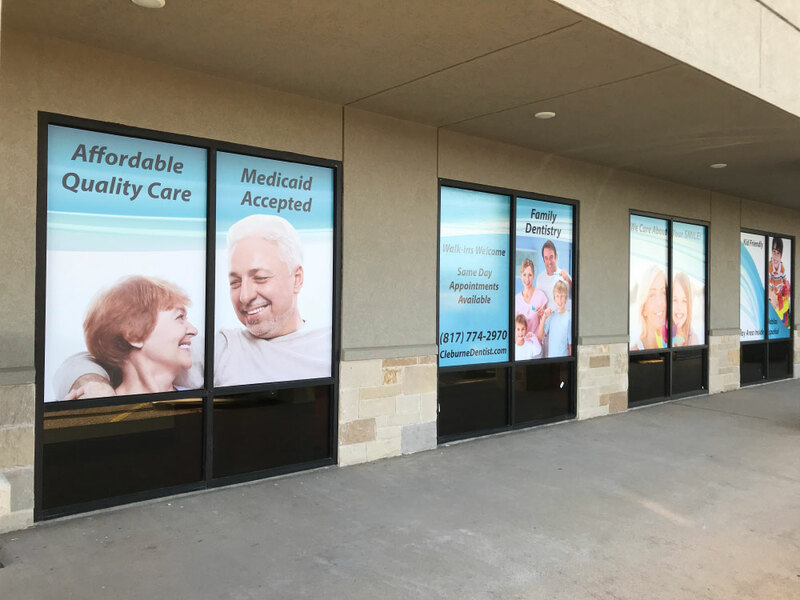 Window graphics are growing in popularity due to the amount of advertising space, security and energy savings inside the building. 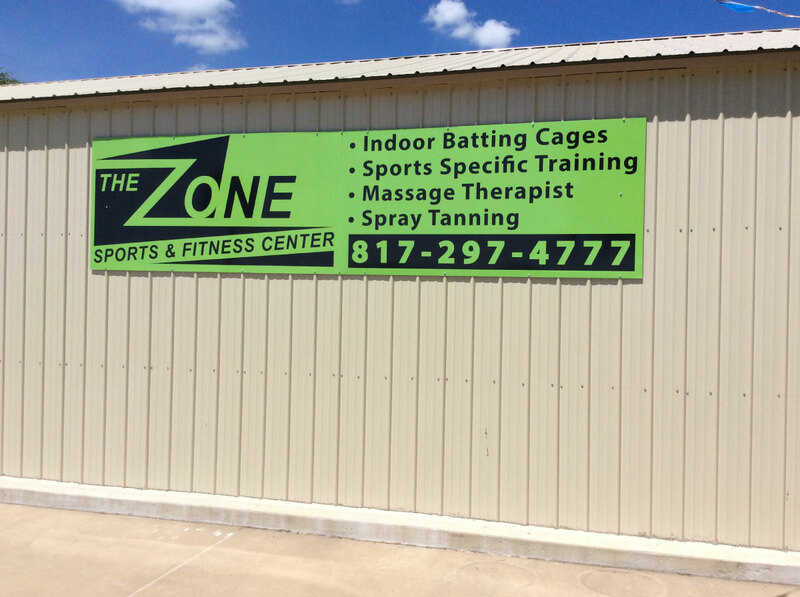 We provide full-color printed vinyl with or without perforations. We also cut and install vinyl lettering and graphics. Click the picture to see more. We print all types and sizes of banners. They are printed in full-color on a high quality large format printer and hemmed on the edges. We add nickel grommets to each corner and in 24″ increments. We also provide banner frames for outdoor applications to keep the banners tight and easy to read. Frames are available for purchase or rental. 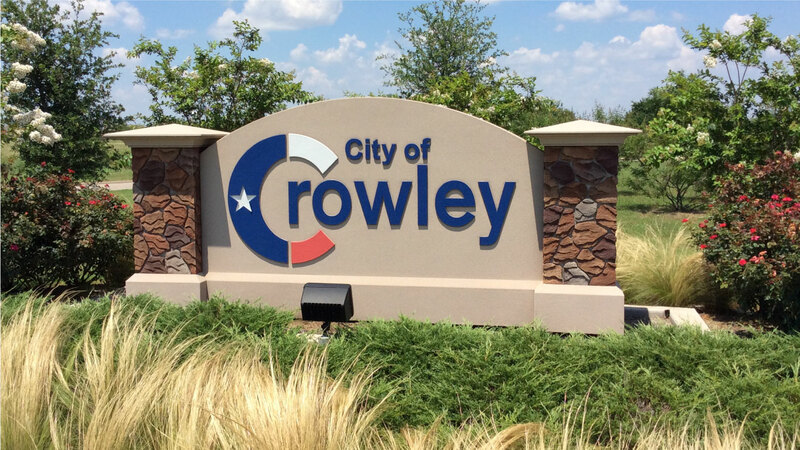 Channel Letters are custom-made metal or plastic letters and commonly used in exterior signage on public and commercial buildings. They can be built with out without internal lighting. We also provide plastic, metal and plexiglass letters for all types of internal and external applications. 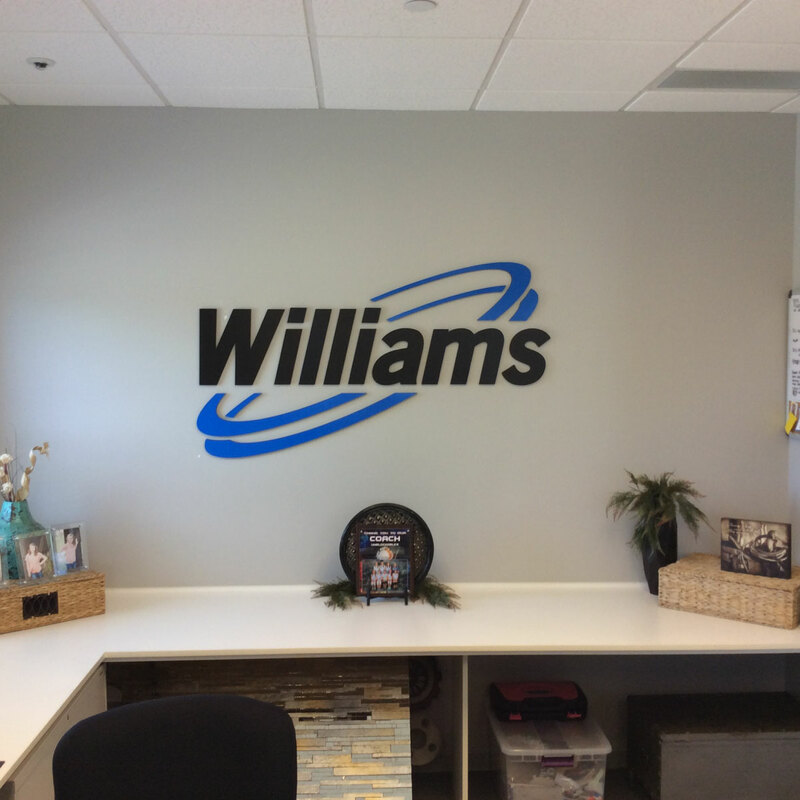 Three dimensional letters and logos are great for walls, monuments signs and other applications. They can be manufactured with foam, acrylic, metal or wood. They create a very professional appearance and office environment. Billboards are printed using UV inks to last longer in outdoor environments. They come in all sizes and can be installed directly to the face or utilizing straps attached to poles inserted in pockets on the edges. 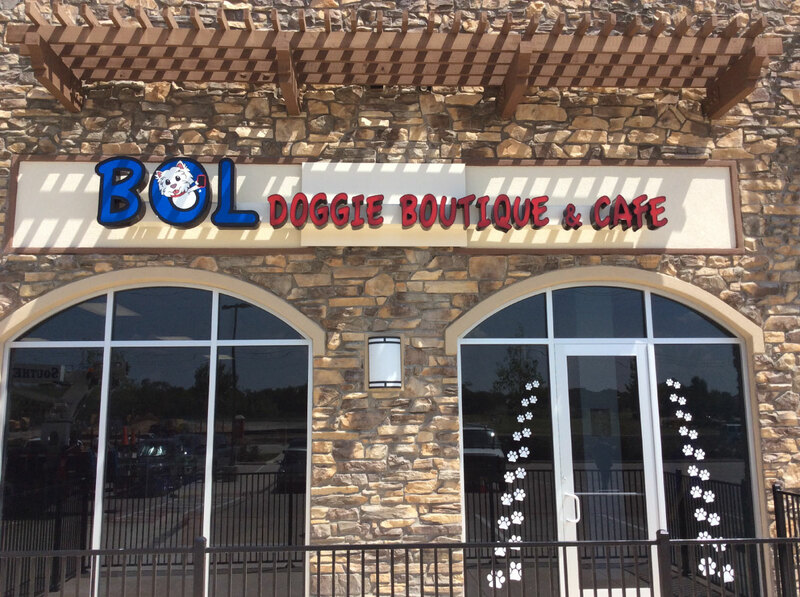 The most common material we use for metal signs is Aluminum Composite sheeting. The panels are two sheets of aluminum with a PVC core sandwiched in between. They are much stronger than standard aluminum and are available in both 3mm and 6mm thick panels. 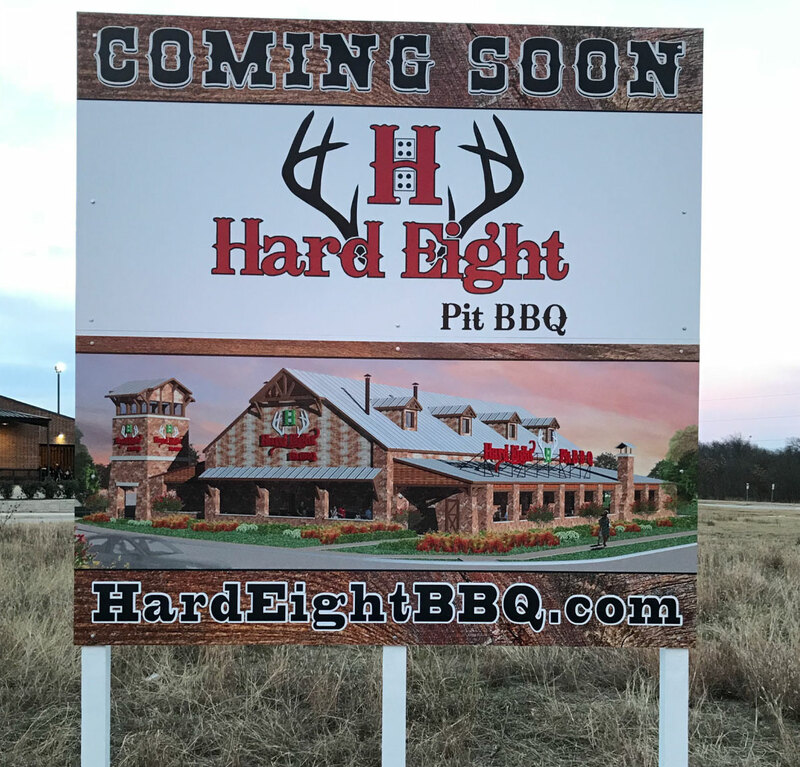 Wood signs are a great choice for construction projects, real estate acreage and numerous other applications. 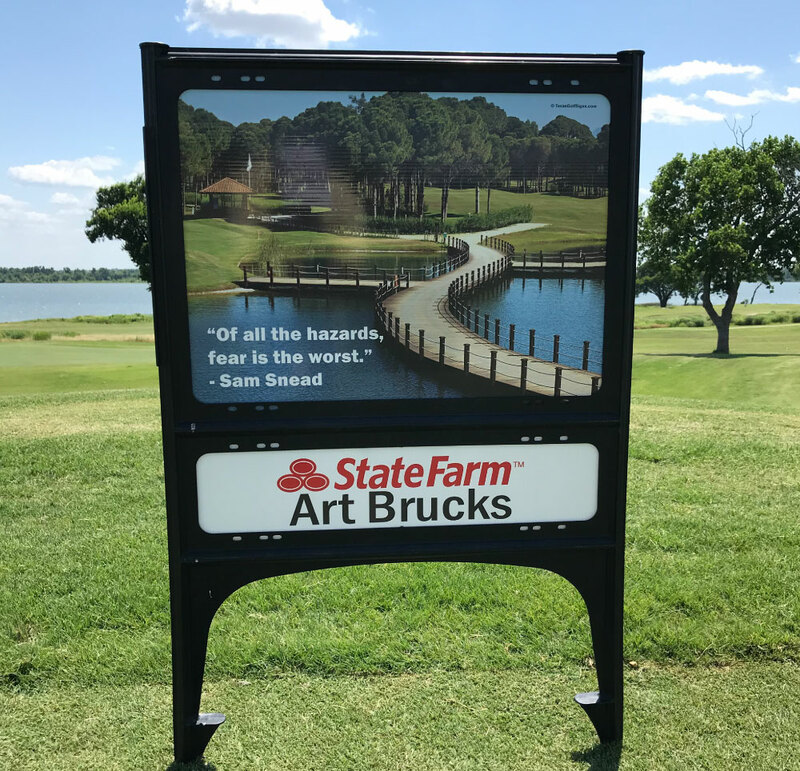 We use high quality painted signboard (MDO) for most applications because it lasts much longer than standard plywood and withstands harsh weather environments. Coroplast signs are primarily used for temporary applications. They are an inexpensive alternative to other materials when you only need a few months exposure. 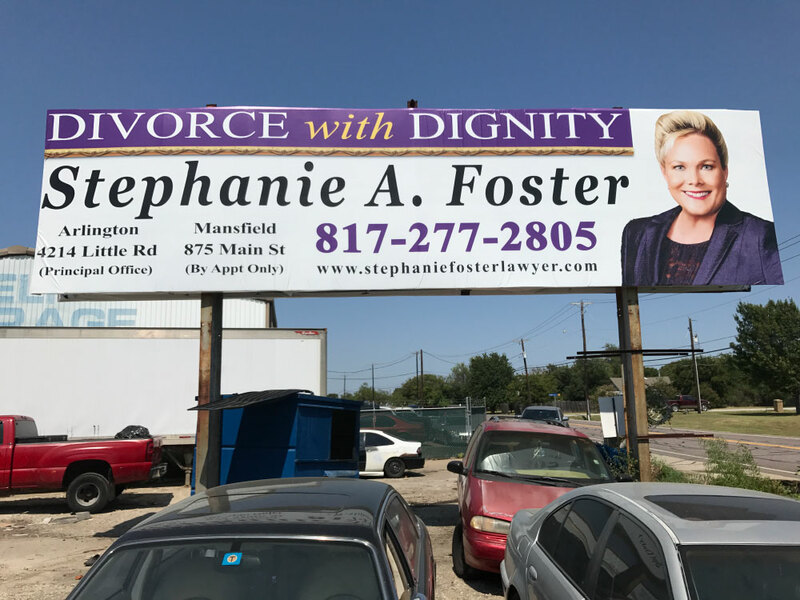 The most common size for yard signs is 24×18 inches, and the most common for small billboard signs is 48×96 inches. The life of these signs can be extended with gloss or matte laminates. 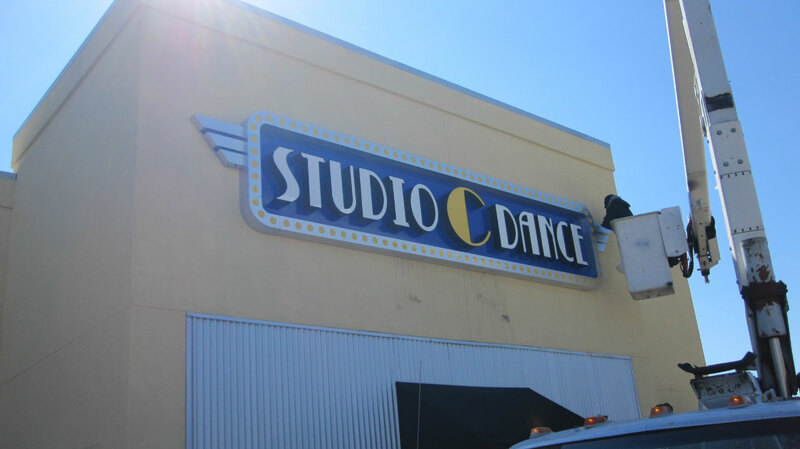 Vinyl letters and graphics are a popular choice for all types of applications including windows and doors. Graphics or text with one or two colors are usually created using colored vinyl. Applications that have more than two colors are usually printed and laminated to allow unlimited color combinations. 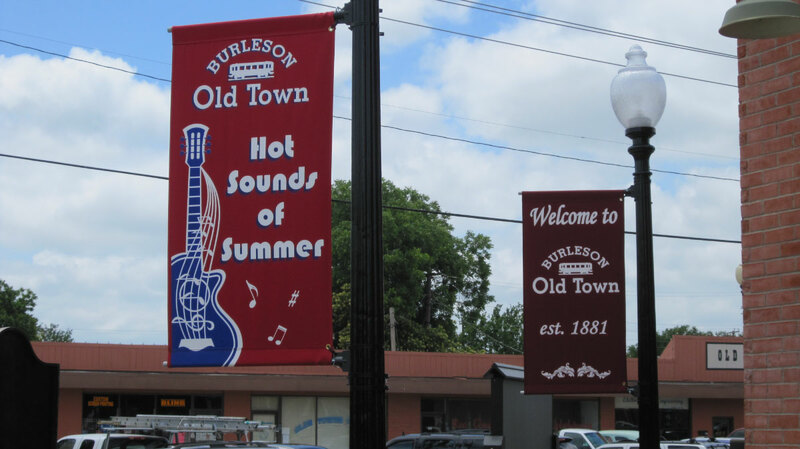 Cool Dog Graphics provides pole banners and pole banner hardware. The two type of materials we use for pole banners are vinyl (similar to banners) and Sunbrella. 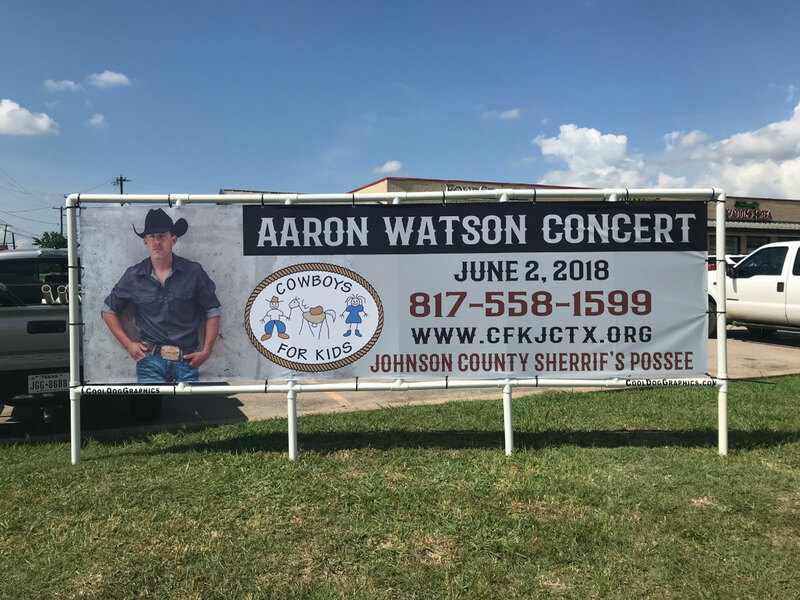 The vinyl banners are printed in full-color and the Sunbrella banners are screen printed. .
We can provide numerous types of material for pole and pylon signs depending on the application. We can build the signs from scratch or replace exiting panels. Building signs can be created using several types of materials, the most common being metal. They can be manufactured using channel letters or created as a one piece plastic face. Building signs are only limited by your imagination and the building owner regulations. Feel free to contacts us anytime and we’ll be happy to assist.